The Intelligence Recruit Training Unit has been created to assure the quality standards of the agents sent in to field and give the newly received agents a better knowledge of the environment they are facing before they are sent on a live mission, in order to increase the success rate of the agents. All new candidates for the Imperial Intelligence will go trough this training. The Purpose of a Intelligence recruit training unit is to give newly transferred agents, Or locally recruited potential agents a place adopt and practice their skills to what is needed to complete their task on the moon of Rori before they are placed on a live mission, as well as gaining increased knowledge of the way of how the Rorian civilization works. A unit like this would secure the quality of all agents placed in to active service, knowing all of them are up to the intelligence standards required and have good knowledge of the environment they will be working in. The Intelligence recruit training unit is a sub-unit to the already existing intelligence Cluster on Rori. The sub-unit is organized more like a school class than a military structured group, but follow the formal regulations of the military branches of the Empire. The potential members will be given a uniform and a rank to follow the rules of military units and military personnel. The uniform is the basic black used by all intelligence personnel in the program on Rori and they are given the rank recruit once they join. They are stationed at Compound Resh and are being trained there, but are restricted on live combat or live missions they may attend. The training of the recruits is handled by agents that are in the active intelligence cluster. In some cases by Specialist who are very experienced in the area being learned that session. The recruits in training will stay in that unit until they have come to the stage in training that they fill intelligence standard, showing themselves ready and experienced enough to be considered as an Agent and be moved to the Active duty and promoted to Trainee. From there, they will be assigned a mentor that will take them out on their first assignments as an agent. If they fail to do what is requested, or does not fit in the role that being an active agent would require, they will be asked to find some other way to serve the empire. Should they complete the program but wish to enlist into another branch, they will be promoted to the equivalent of a Specialist Third Class in their respected branch. To Join the Intelligence training unit you must be in good health and in good standing with the Empire. It is recommended that you have some experience with blasters or melee weapons. Once you are part of the unit, You will be given the rank of Recruit and a black uniform. You will be able to participate in training and social events, but are restricted to what combat missions and assignments you are allowed to attend. You have the option to become a citizen of Savareen, where all training will be held outside of. In Savareen there is all the services needed from a modern settlement. You will not be considered an agent or an active member of the Imperial Intelligence, as you are in training. 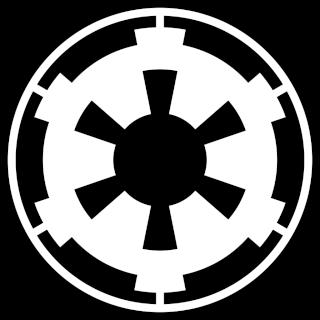 You do however have a military rank and are part of a military organisation, so you must follow the formal rules of the Empire. When you have completed all of the basic training and have become experienced enough, you may be transferred in to the active cluster and will be considered as an Intelligence Agent. If you have any questions about the Intelligence Recruit Training Unit, visit the holonet or contact your local officer or recruiter for more information.